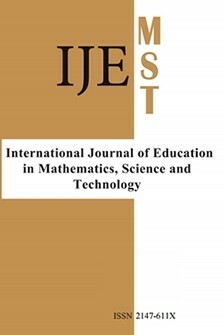 The aim of this study is to develop a valid and reliable attitude scale that could measure secondary school students' attitudes towards the Science-Technology-Engineering and Mathematics (STEM). This study was conducted in 2017-2018 academic year with 2500 secondary school students studying in the 5th, 6th, 7th and 8th grades from fifteen (15) different secondary schools in ten different (10) provinces of seven (7) different regions of Turkey. The study is designed according to the scanning method which is a descriptive research method. When determining the sample of the research, stratified sampling method was taken into consideration. Explanatory Factor Analysis (EFA) and Confirmatory Factor Analysis (CFA) were performed to test the validity of the scale structure. KMO in EFA .919, and the Barlett’s test χ2 value was found as 26236,010 (p <.001). As a result of CFA to determine the model fit of the scale, chi-square fit value of the factor structure consisting of 33 items and 6 sub-factors (χ ² = 4083.21, Sd = 480, p = 00) was found to be significant and the following was found RMSEA: .0548, RMR: .0486, SRMR: .0486, GFI: .902, AGFI: .885, IFI: .902, NFI: .890, NNFI: .892 and CFI: .902. Since all fit values are within acceptable limits, it is concluded that the six-factor structure of scale is a usable, valid model. Internal consistency and test-retest reliability analyzes were performed to determine the reliability of the scale. As a result, the Cronbach Alpha (α) internal consistency reliability value of the scale was found as 0.887 and the test-retest reliability value was found as 0.804. Based on this, the scale can be said to be highly reliable. It is concluded that the scale consisting of 33 items and six factors is a valid and reliable tool which determines middle school students’ attitudes toward STEM.